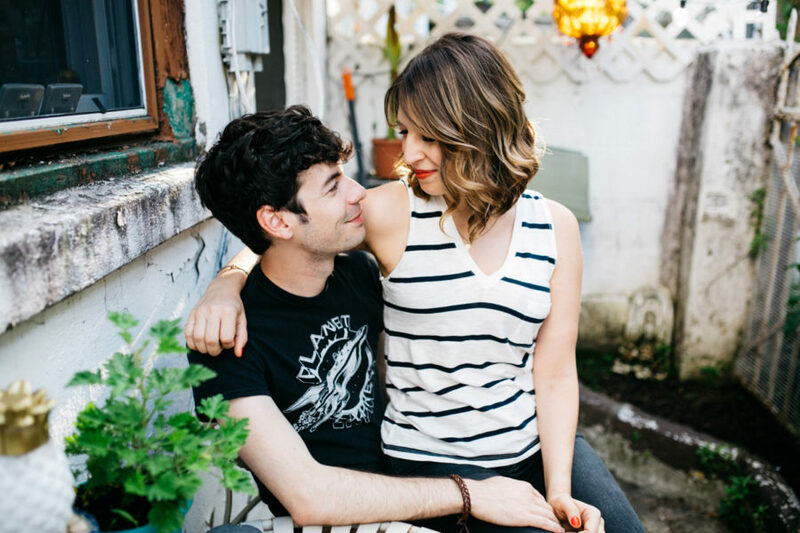 With the engagement season in full swing, I thought I’d share some of my thoughts and experience to help couples plan an upcoming engagement session. 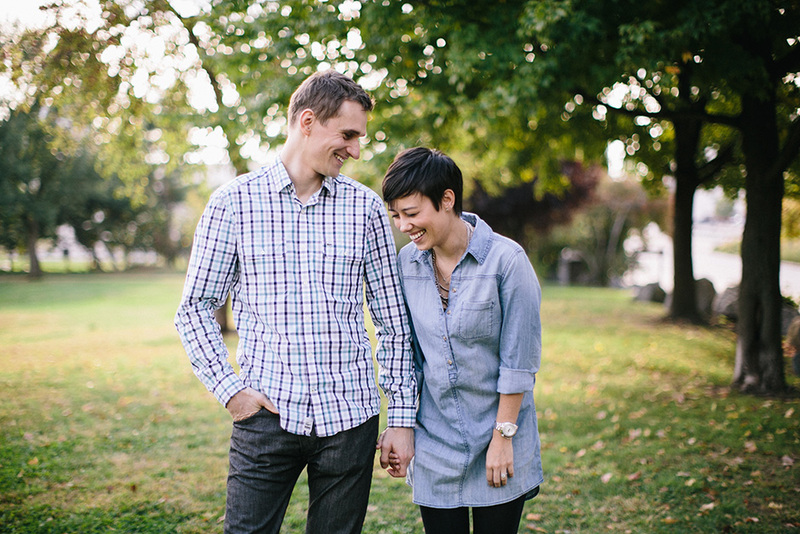 Some of my clients, especially guys, have an idea that an engagement session is an awkward walk through a park hand-in-hand with your fiancé while smiling at the camera. While holding hands and walking through a park can certainly be a part of it, it definitely doesn’t have to be awkward, boring and stiff. It’s like going on a date and bringing a photographer with you! 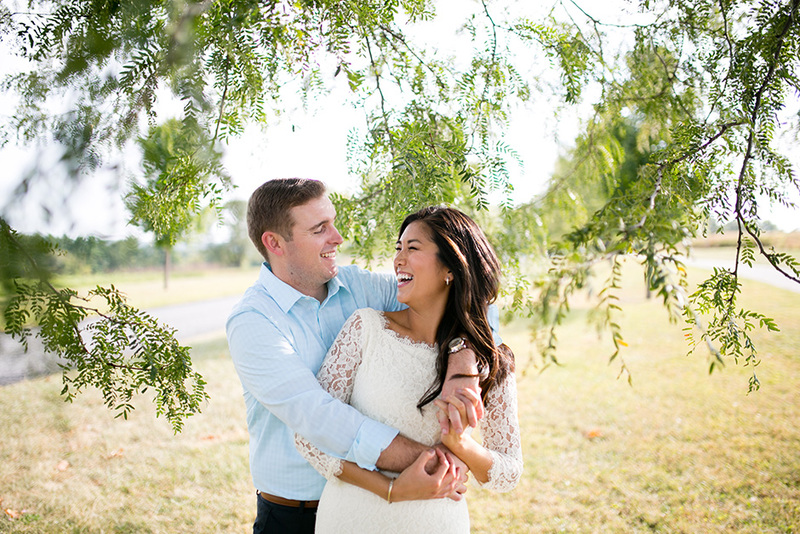 Think of an engagement session as going on a date with your significant other and having a photographer come along. The best thing to do is pick an activity you enjoy doing together or a favorite place that is special for the two of you. If you have a favorite park you love going to for summer picnics or a neighborhood coffee shop you hang out together at every week, I’d gladly meet and photograph you there! With a 2-hour shoot, we can easily do a variety of locations. Here is one possible scenario for a shoot. I meet you at your house and start photographing you there. Perhaps we can do some photos with your dog in your backyard or of all three of you hanging out on a couch in your living room! Then we go for a walk through your neighborhood or a park/pier/bridge that you like. 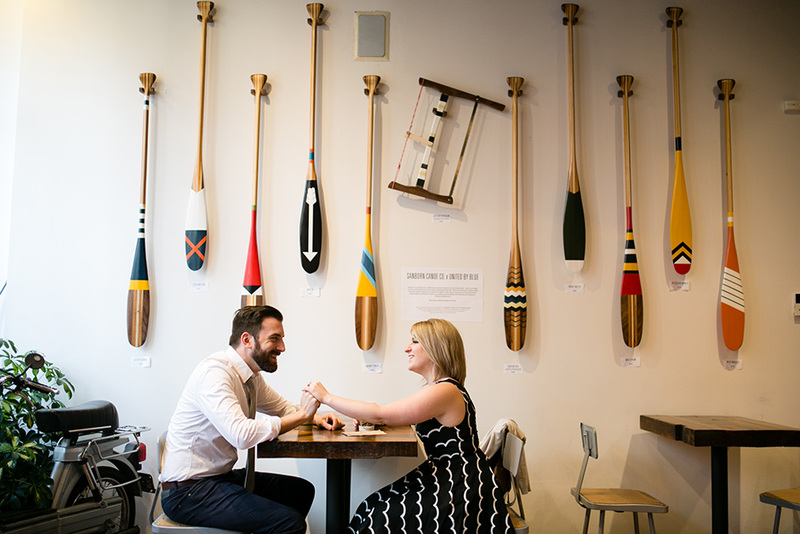 Finally, we stop by a coffee shop/bar/restaurant/ice cream shop/record store/antique store you like and I photograph the two of you having a great time. By the end of our shoot, you’ll be pretty relaxed and used to being in front of a camera (it’s not that bad!) 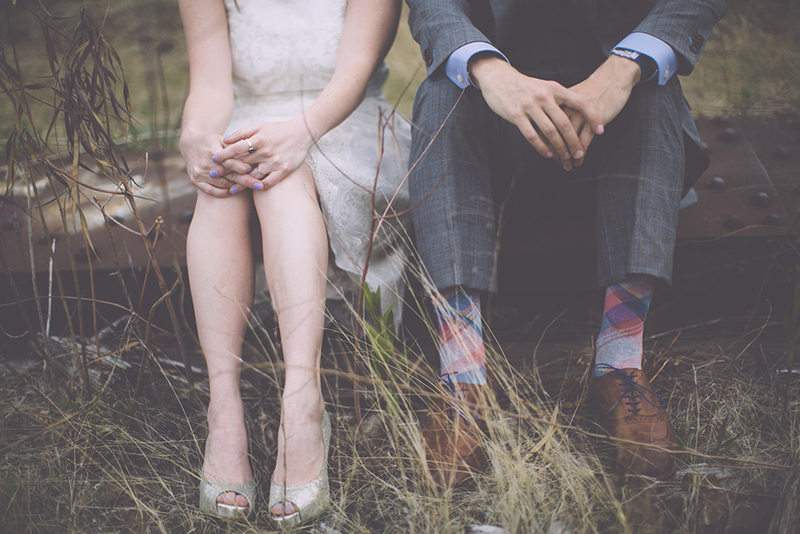 Also, you’ll have a good idea of how I work and know what to expect on your wedding day. Another possible scenario is choosing one awesome location and exploring it in-depth. 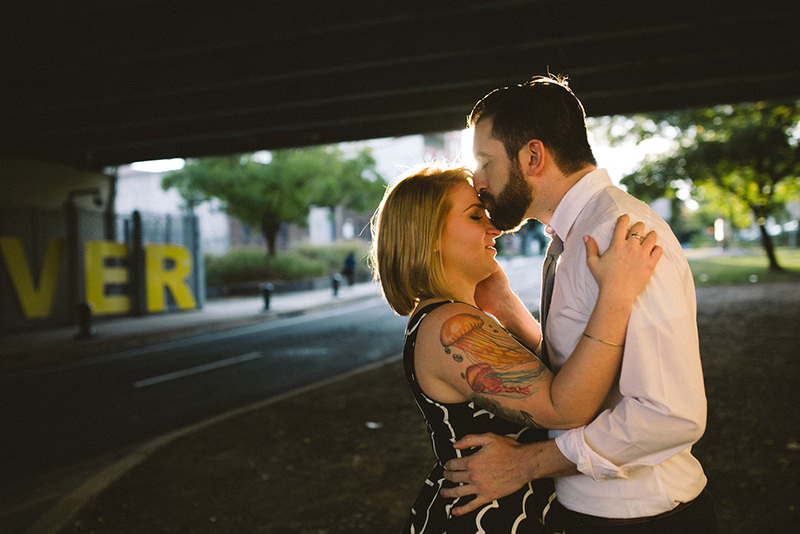 One of my couples recently asked me if I was willing to do a shoot at the Reading Viaduct. The Viaduct is an abandoned elevated train track running through Center City. Needless to say, I was delighted to have a shoot there! We spent two hours wondering around and exploring this unique location. No worries if you can’t decide on the location. I’d be happy to help you brainstorm and suggest places based on your style and aesthetic. We can be as adventurous as you want to be or keep it simple. 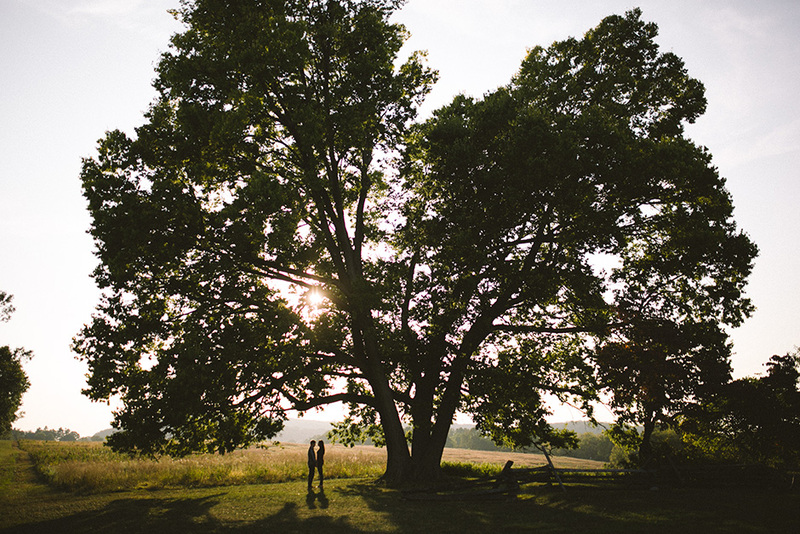 I’d also suggest the best time of the day to photograph, depending on the season, to get the most of the beautiful pre-sunset light that makes for dreamy and romantic images. 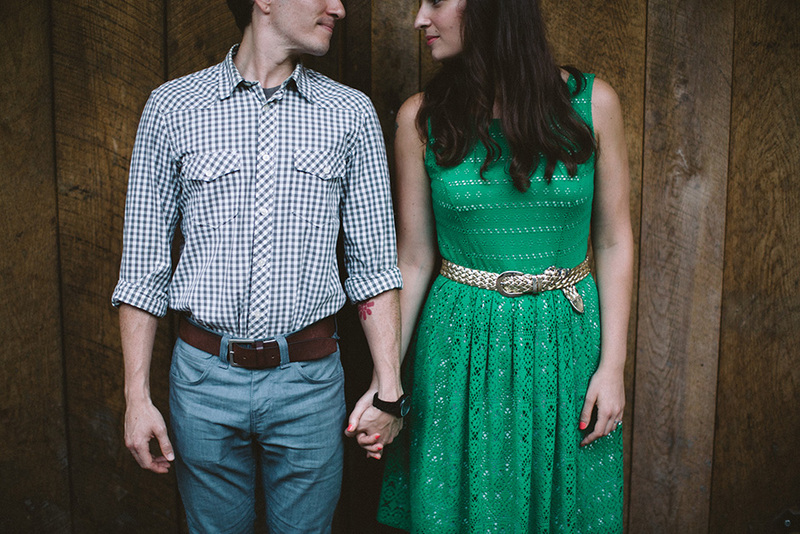 Another thing to keep in mind is that an engagement session should reflect who you are as a couple. If you have a dog that you can’t imagine your life without, I’d love for you to bring them to our shoot. Seriously, I am very dog-friendly! 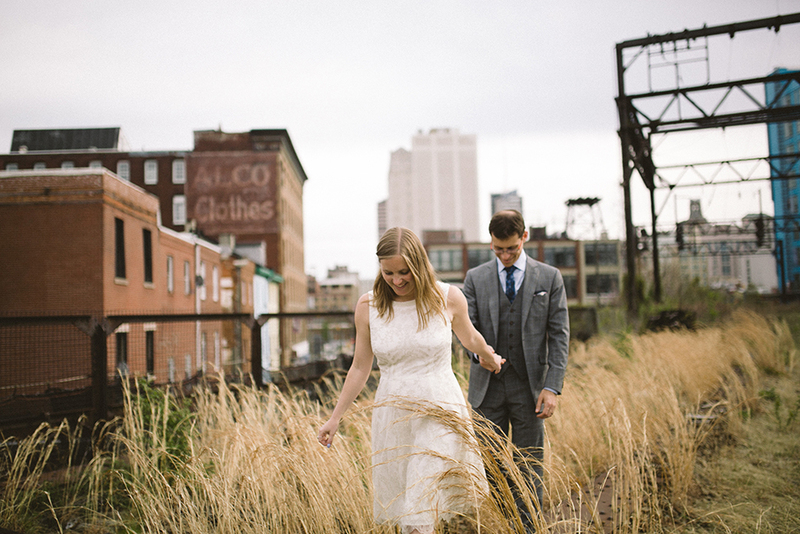 If you live in the city and love the urban vibe of it, we probably shouldn’t photograph you in a field or a rustic setting. A location with an urban vibe would be more appropriate and would reflect who you are. If you like riding bikes, we should plan to incorporate this in our shoot. It will make for some unique and fun photos! If you are especially proud of your house that you recently renovated together, I’d be happy to photograph you there. 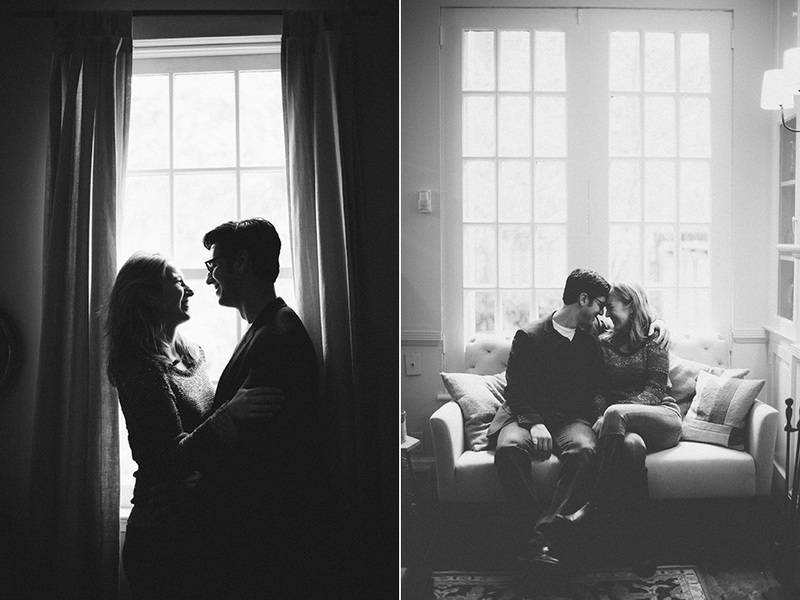 I love the intimate feel of the photos taken at your home! 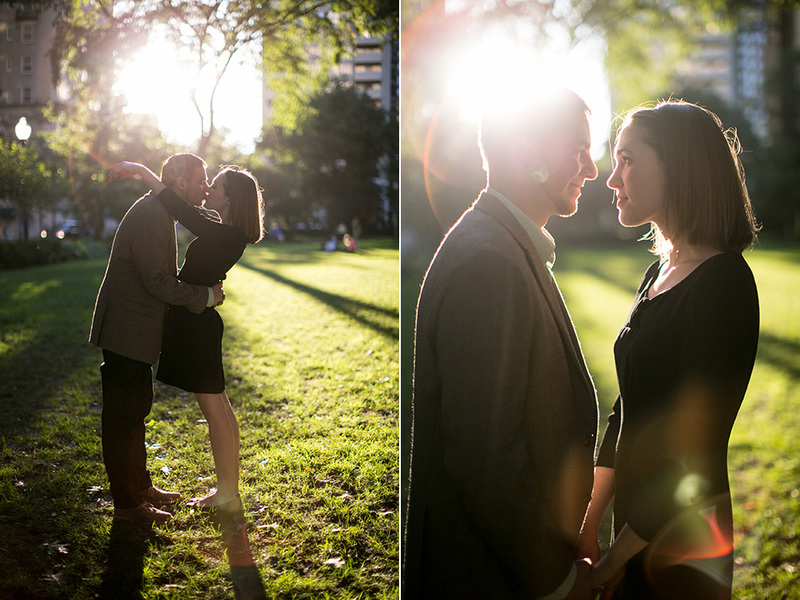 Keep in mind that small details are important for an engagement shoot. Plan some dressy outfits that make you two look and feel great. Try to be youselves though. If you never wear heels normally, it’s probably not a good idea to do it for the shoot, especially if you’re planning on walking a lot. Make sure your outfits match and don’t be afraid of bright colors and fun patterns! 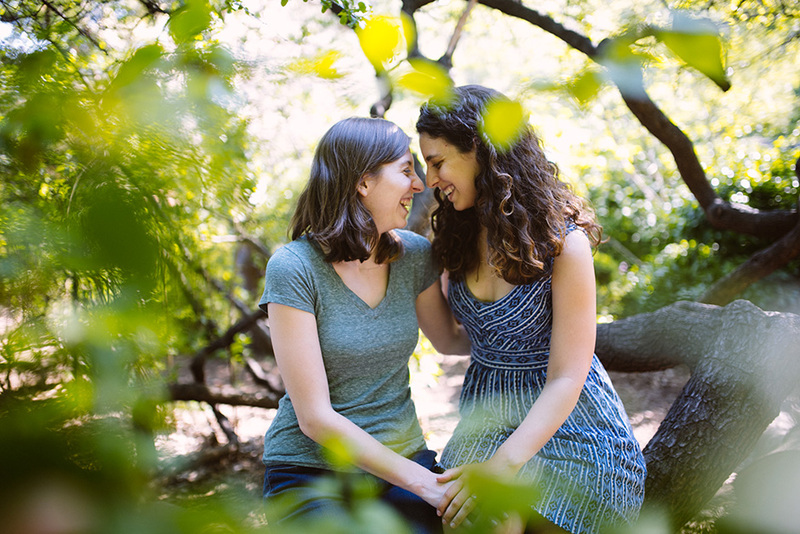 For ladies, scheduling your hair and make up trial for the morning of the engagement shoot might be a good idea. It’ll give you a chance to see how it looks in photos. 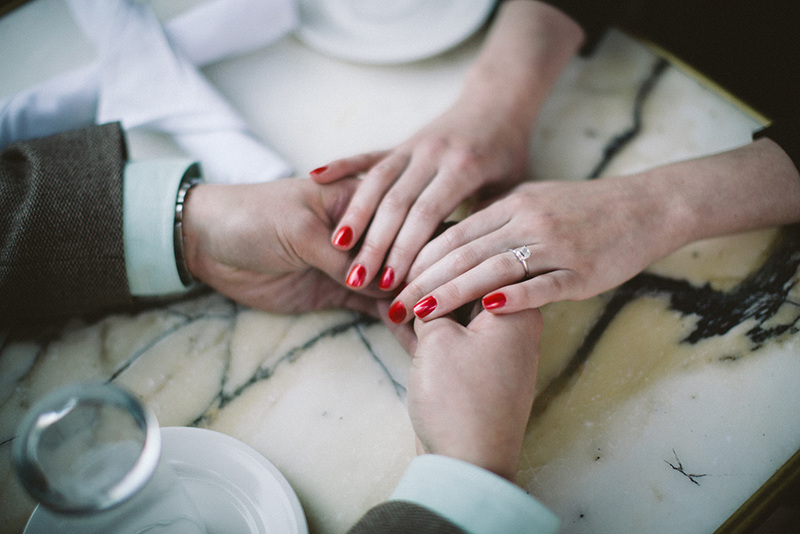 Having a fresh manicure that matches your outfit is great for detail shots of your hands (with your engagement ring!) Adding details like a scarf or some big earrings or other jewelry can be great. You can plan for an outfit change if you prefer. This way, you can wear something dressier for a part of our shoot and then change into something more casual. It works great for multiple locations and adds variety to your photos. Finally, I totally understand that it’s not the most natural thing for most people to be in front of the camera. The first 10 minutes can be awkward and you might be nervous. But my approach to shooting generally makes even the most apprehensive couples feel at ease as we move through the shoot. 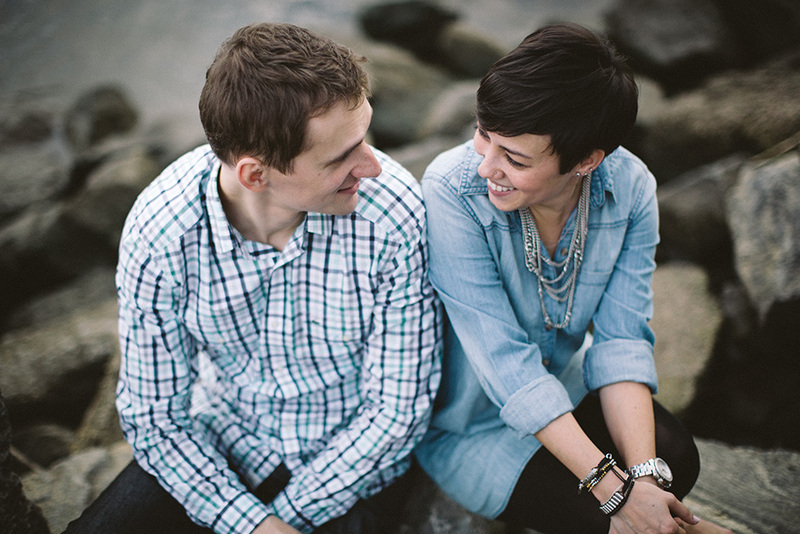 In a subtle and intuitive way, I provide gentle direction to create portraits that look natural and honest. My advice to couples is to try to just relax and be yourselves, and have fun in the process. Kiss each other, make each other laugh, try to forget you are being photographed and enjoy some beautiful moments with each other. 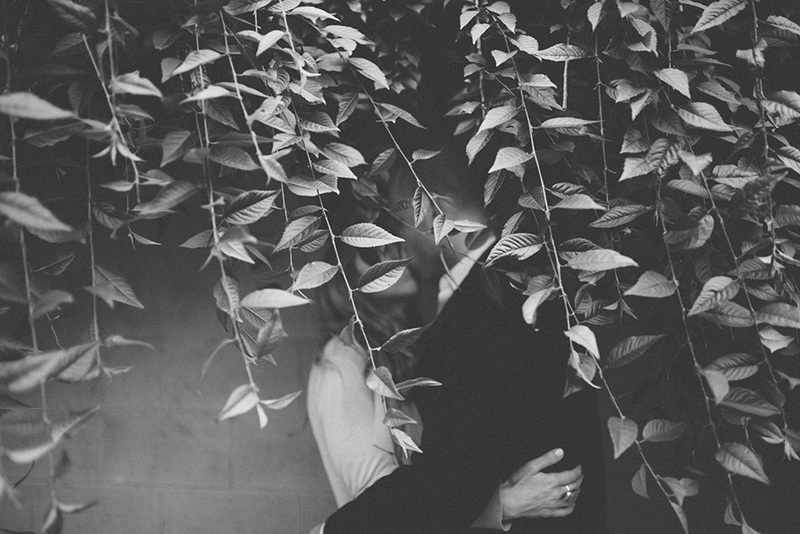 As far as using the photos from your engagement session, you have a few options. 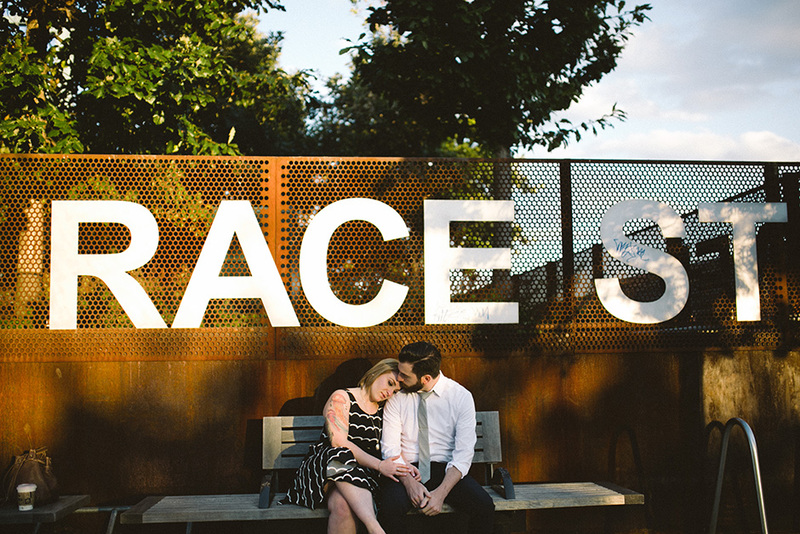 You can use your favorite photo for your “Save the Date” cards. 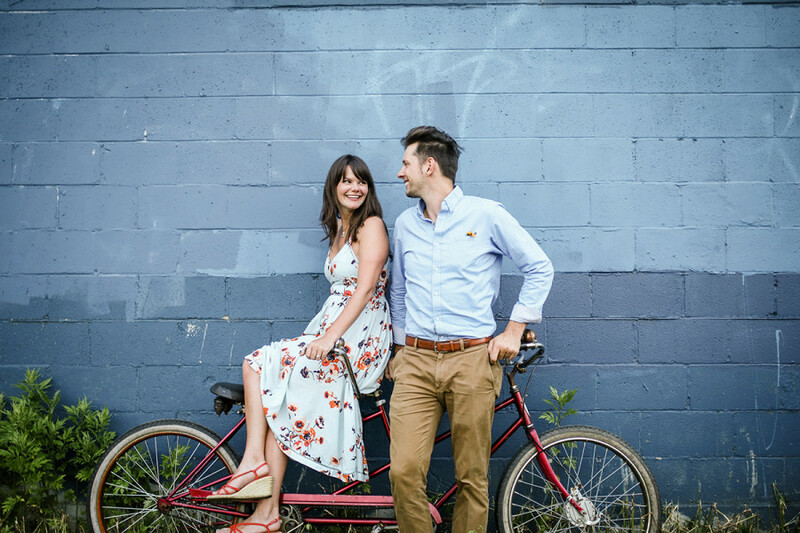 In this case, the engagement session needs to be scheduled in advance so that you have the time to select the photo and have the cards printed and mailed. Paperless Post is a great company that makes it easy for you to create custom Save the Date cards or wedding invitations. They have plenty of designs for you to choose from, from clean and modern to whimsical and romantic. Another option is displaying several large prints at the reception. They can be framed or mounted on foam core for presentation. Or I can design a sign-in book with your engagement photos, where your guest will write their best wishes while looking through your pictures. 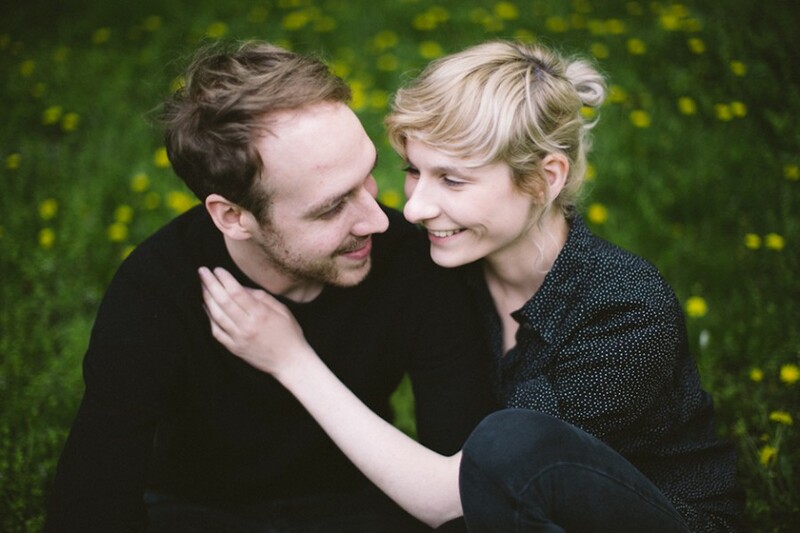 Even just having professional photos of you and your fiance to frame and hang at your home or give as gifts to your parents is a great idea. Not to mention updating your Facebook profile picture! 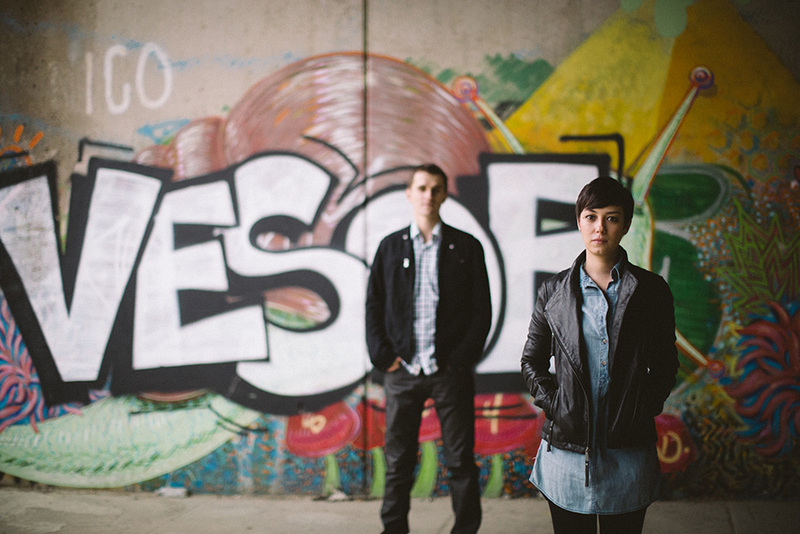 A photo shoot is a collaborative effort between the photographer and the subjects. I greatly appreciate your ideas, suggestions and input because my goal is to reflect your personalities and document your unique style. But whether you have a clear vision for your engagement session or a vague idea about what you’d like, feel free to get in touch! 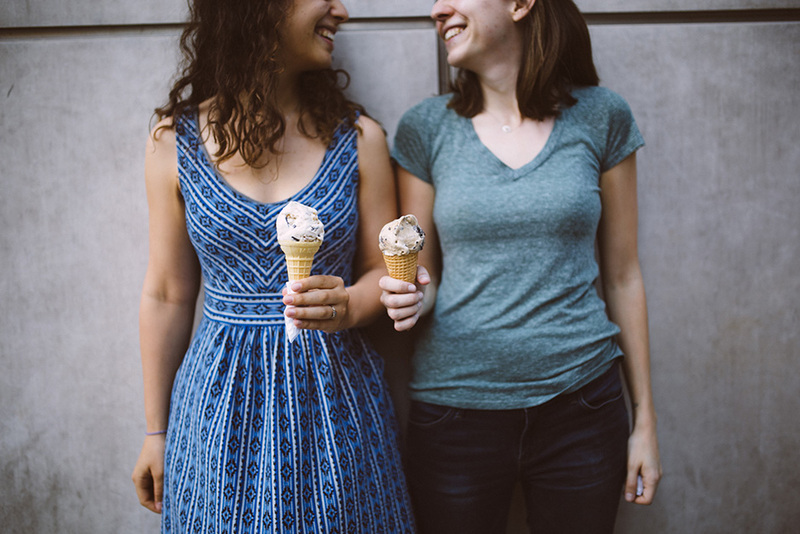 I always make myself available for my couples throughout the planning process and am happy to give my suggestions for anything from locations to outfits to make-up artists recommendations. 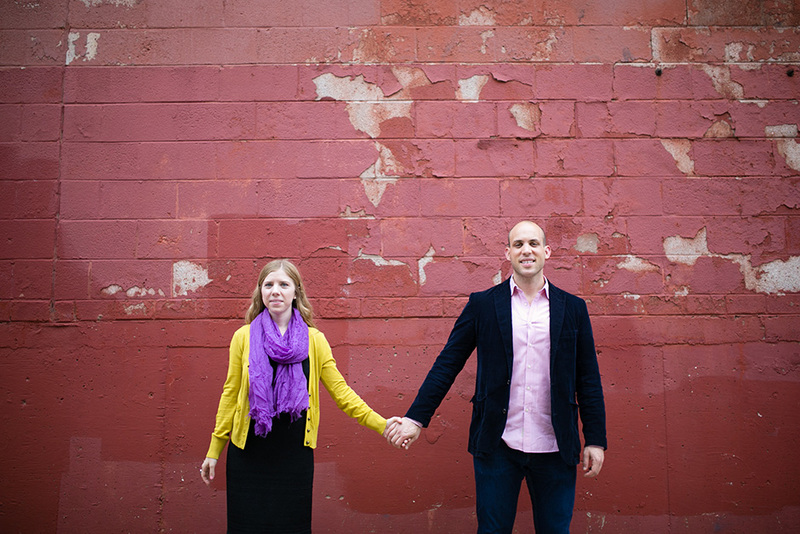 I look forward to creating some memorable images for you and your partner!